Are you getting resistance when it comes to math lessons? Do you need something simple to make math more interesting for your kids? Try using LEGO bricks and mini figures as math manipulatives to make math come alive! We’ve been using Saxon Math this year for Kindergarten and while it has been a good curriculum over all, lately my son has become disinterested in using some of the more childish manipulatives, such as the teddy bear counters. Do you have a child like this? Maybe you should try replacing the manipulatives with something of interest, such as LEGO bricks! One lesson I used with LEGO bricks was making ABBC patterns. To set up this math activity I simply collected five different types of LEGO bricks, sorted them into cups and set them out with a large base plate. When it was time for the lesson, I demonstrated what kind of pattern I wanted my son to make. Then I asked him to choose three different bricks and make his own ABBC pattern. If I had used the pattern blocks as suggested in the lesson book, I probably would seen a lot of resistance, but because I used something of interest for my son, the LEGO bricks, he was eager to create his own pattern and happily did the lesson! Another lesson we used LEGO bricks and mini figures for was to act out a math story. I replaced the pattern blocks and teddy bear counters suggested in the lesson book for bricks and mini figures and followed the lesson as written. My son had so much fun with this lesson using LEGO mini figures that he continued to play even after we had finished the lesson! 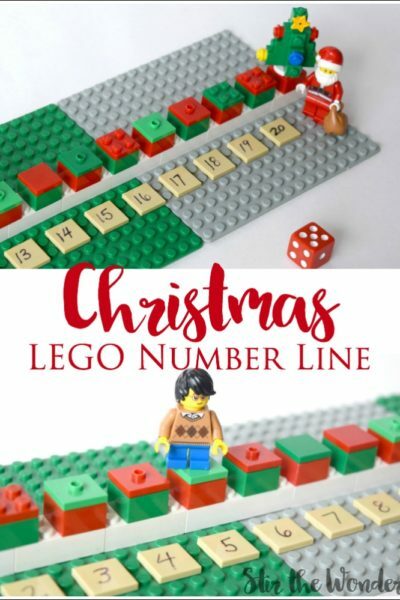 Using LEGO bricks and mini figures to act out math stories is a great way to help your children learn about math in a real, living way. It is so easy to do! All you need is about five mini figures and some bricks, then you can make up a story about the mini figures going to the movies, riding a bus or going to school! As you tell the story, your child can act it out with the mini figures, adding and subtracting them as the story unfolds! It is so much fun and the possibilities are endless! 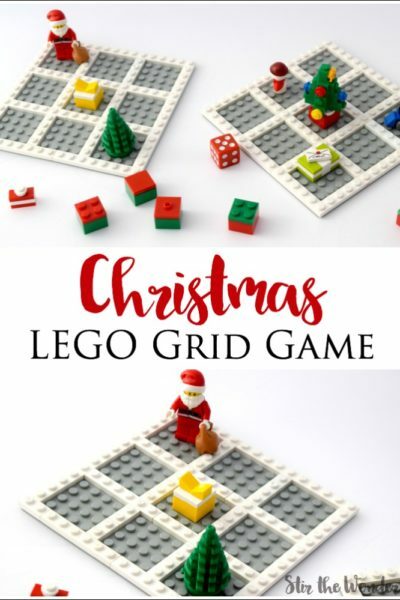 Want more ideas to Learn with LEGO? Check out the LEGO Activities landing page! Sign up for our NEWSLETTER to stay up to date on all the book happenings and join our awesome Learning with LEGO Facebook group for more educational ideas using LEGO®! And be sure to check out our new book The Unofficial Guide to Learning with LEGO®! In it are over 100 hands-on learning activities from literacy to S.T.E.A.M. using LEGO® bricks! I love these ideas. I wish they were around when I was learning math! For my kids, math was much easier than it was for me at their age. Thanks! Math really can be fun! Wow! I just found your site through Pinterest and I love what you have going on here! I really like all your lego ideas ~ my boys are 2 and 4 and they could play with legos all day. I’ve subscribed to your list and look forward to looking through more of your posts here. Also, I’d love to include a link to your pumpkin squish-bags in a post I’m working on, if you wouldn’t mind?